Pairing a shrug/koti with jeans is the new Indian street fashion! 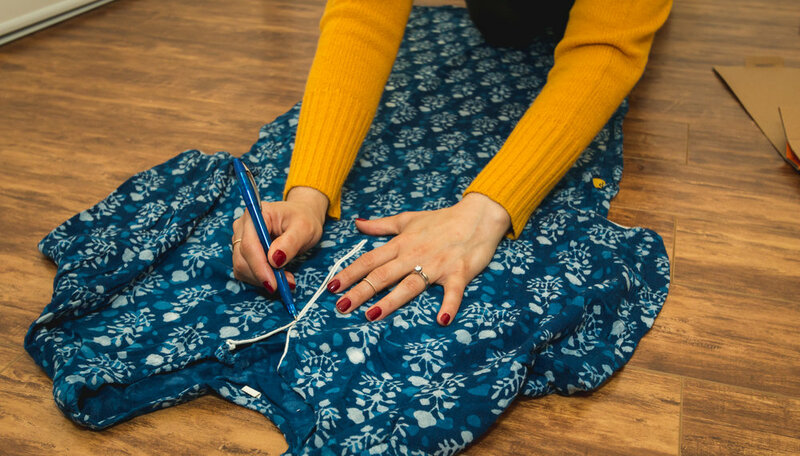 In this post I will show you how you can recycle old kurtis that don’t fit you anymore because you are happily married or you are a new mom and have gained weight! This is a super quick 5-minute DIY! Literally 5-minutes! 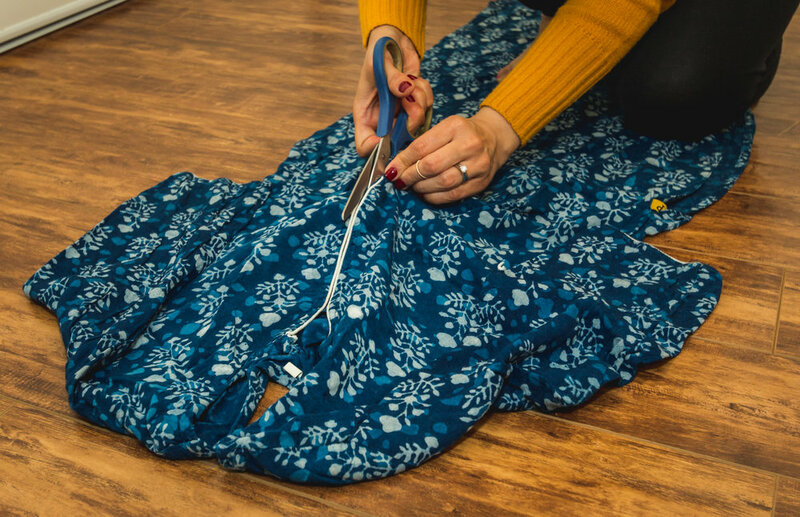 1) Lay the old kurta on the floor with the front facing towards you (or the ceiling). 2) Eye the middle of the kurta or feel free to mark it with a pen/chalk all the way starting from the neck to the bottom of the kurta. Here I am using a cardboard to help me mark a straight line through the middle. 3) This next step may require a tough soul as you are going to slit the kurta in the middle using scissors. 4) Now take a few inches from right side of the slit and begin gluing it down using fabric glue. 5) Repeat step 4 this time for the left slit. 6) Wait for the glue to dry for a few hours or overnight. 7) You can always add variations to the kurta for example, you can add some jingles or buttons on the neckline if you wish to jazz up a plain kurta. Tip: You can use this as a beach cover-up as well! In the next blog post: DIY rakhi and sweetbox for Rakshabandhan!